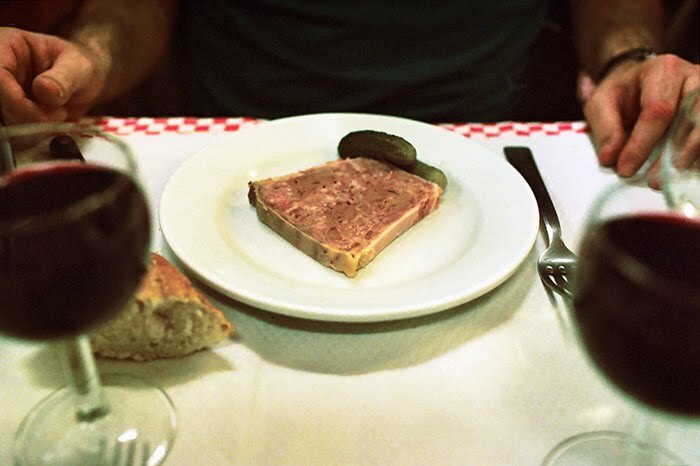 It was thanks to this post by Molly, that we had one of the most memorable meals in a long time on a recent trip to Lyon. oh j'adore les bouchons lyonnais!!! tes photos sont fabuleuses!! Ca donne envie tout ça, et c'est joli !! Le Saint Joseph <3 ! i almost can't believe these aren't stills from a 1970s movie. Mary, these shots make me very, very happy. I love that place! So glad you went. wow! and i second kristina's words!